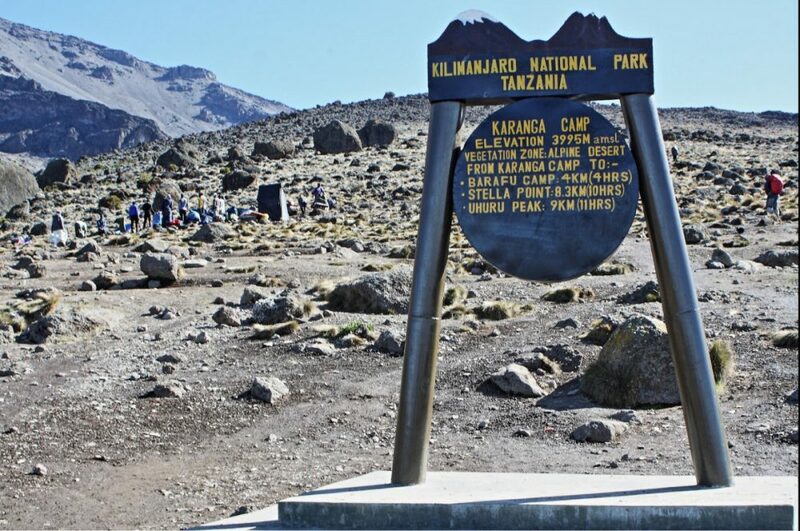 Last month, I took a trip of a lifetime to Tanzania Africa to Climb Mount Kilimanjaro: Africa’s highest point and the world’s highest free standing mountain. 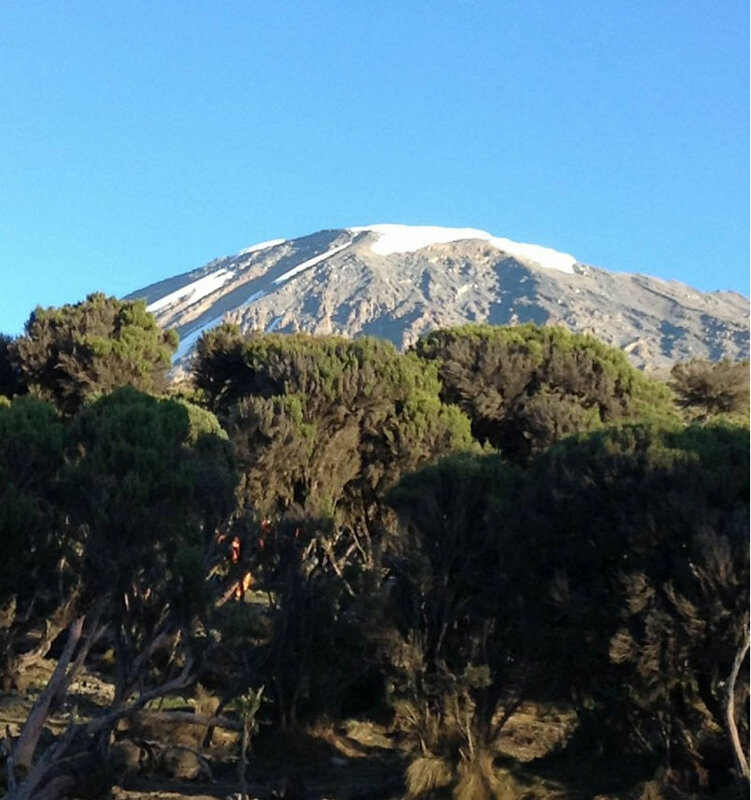 It is also known as the “Rooftop of Africa” its summit stands at 19,341 feet or 5895 meters. With this high elevation I figured that I could pick up a multitude of shortwave signals that I would normally not receive at lower altitudes. So I packed my Sony ICF- SW7600G to capture recordings of various signals, some common, others not so common. Each night I unpacked my radio and extended the reel-wire antenna and scanned the bands. I came across an assortment of stations that I normally do not hear back home in the USA, but some were quite familiar such as the BBC, Radio Romania, and DW which had Africa as their target. In some cases their broadcast was targeted for Asia. 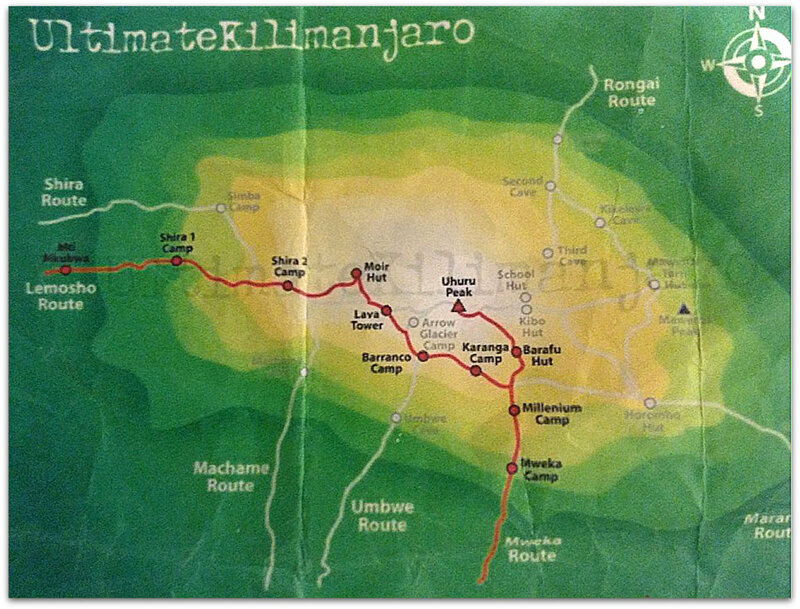 Below is a map of our trek along the Lemosho route and the camps where we stayed are listed with the recordings and the elevation (in meters) of each camp. The higher we climbed, the signals received were sometimes stronger but the surrounding mountains also limited the reception of others. I did find that the bands were congested with signals from stations that spoke Arabic, Swahili and Chinese, not surprising considering my location. For the purpose of this blog I only included the English speaking stations except for a few. 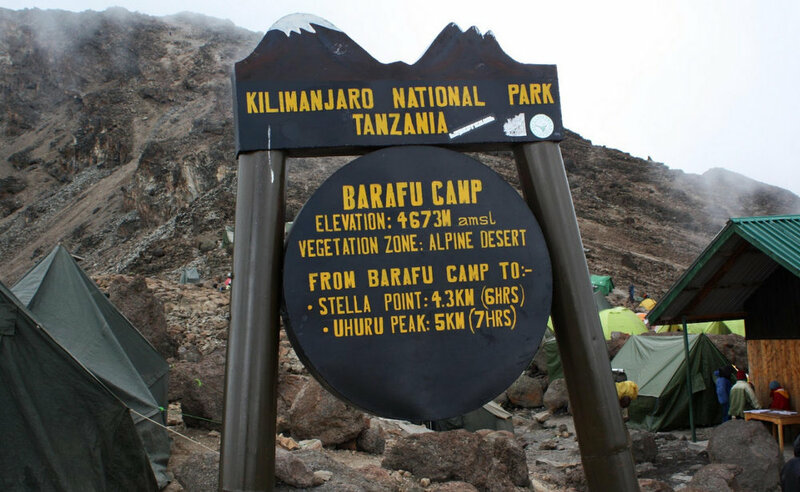 Unfortunately, the critical weight in our day packs was closely monitored and we could carry only the essentials on our climb from Barafu to the summit so I could not record at the summit of Uhuru Peak. Additionally, our time up there was limited to 15 minutes due to the lack of oxygen at that altitude. Below are selected recordings at each of the camps on the Lemosho route. Enjoy. Chris: thank you so much for taking the time to write up this guest post and share your excellent recordings and photos. Amazing! Post readers: I don’t know about you, but I’m inspired and ready to pack my bags and do some shortwave travel! Click here to check out other posts by Chris. This entry was posted in Guest Posts, News, Photos, Portable Radio, Recordings, Shortwave Radio, Travel, What's On Shortwave and tagged Africa, Chris, Chris Johnson, Mount Kilimanjaro, Shortwave Radio Travel, Shortwave Travel, Travel Radios, Travel Shortwave on February 26, 2017 by Thomas. Last week, I received a tip from SWLing Post contributor, Dan Robinson: Radio Biafra, a new clandestine station, was audible on 15,560 kHz via the Universite Twente Web SDR. Despite miserable propagation conditions, I tuned my receiver to 15,560 kHz and was surprised to hear a weak signal from Radio Biafra, here in North Carolina. I recorded a few minutes before conditions changed and Biafra’s signal began to fade. This was the first time I had logged Radio Biafra, so I was amazed to have copy clear enough to understand. Radio Biafra also known as Voice of Biafra, is a radio station that was originally founded by the government of the Republic of Biafra but is currently operated by Mazi Nnamdi Kanu. Believed to have had its first transmission before the Nigeria-Biafra war, the radio station was instrumental in the broadcast of speeches and propaganda by Chukwuemeka Odumegwu Ojukwu to the people of the Republic of Biafra. […]Radio Biafra currently transmits via the internet and shortwave broadcast targeted majorly around Eastern Nigeria. Radio Biafra claims to be broadcasting the ideology of Biafra –”Freedom of the Biafra people”. […]Radio Biafra has been met with mixed reactions. While some critics have criticized the station for “inciting war” through its programmes and “preaching hate messages” against Nigeria which it refers to as a “zoo”, an editor for Sahara Reporters wrote in defence of the radio station after he compared Radio Biafra with the British Broadcasting Corporation Hausa service. On 14 July 2015, it was reported in the media that the radio station had been jammed because it did not have a broadcast license from the Nigerian Broadcasting Commission. However, the radio station in a swift reaction labelled such claims as “lies” and went on to release its new frequency details to the public. To put this in perspective, the Wikipedia entry for Radio Biafra is rather new, having only been created in August, 2015. 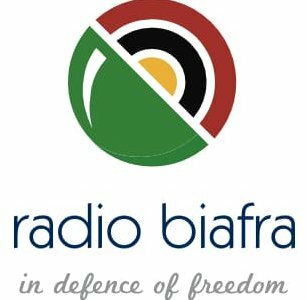 Post Readers: Have you logged Radio Biafra in your part of the world? This entry was posted in Clandestine, News, Recordings, Shortwave Radio, What's On Shortwave and tagged Africa, Biafra, Clandestine, Clandestine Radio, Nigeria, Radio Biafra on September 10, 2015 by Thomas. 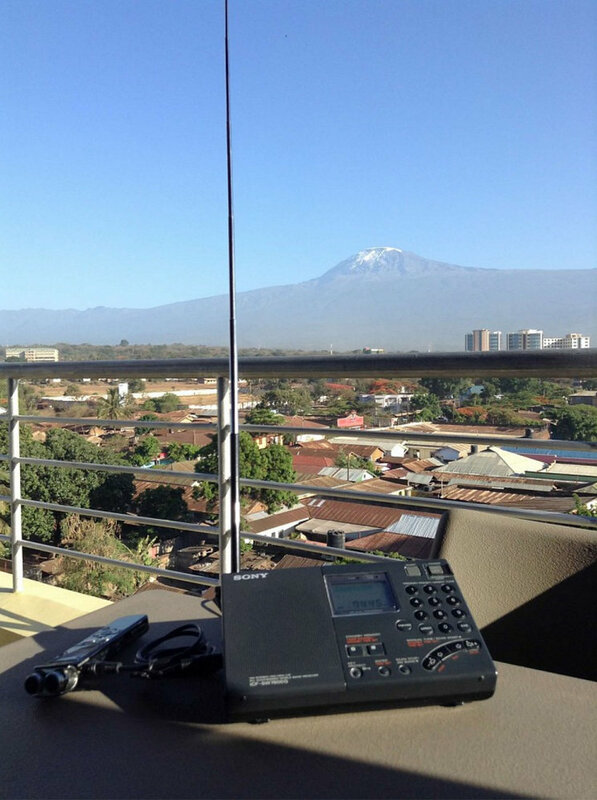 Despite dismal propagation, I was quite happy to receive a relatively strong signal earlier this week (31 August 2015) from Channel Africa, starting around 16:40 UTC on 15,235 kHz. This recording begins with the French language service (already in progress), followed by the English language service. Receiver used was a WinRadio Excalibur connected to a large horizontal delta loop antenna. Remember: this, along with many more recordings, are available in podcast form via the Shortwave Radio Audio Archive. Click here to view on iTunes. This entry was posted in News, Recordings, Shortwave Radio, What's On Shortwave and tagged Africa, Channel Africa, Recordings, SABC, Shortwave Radio Recordings on September 4, 2015 by Thomas. 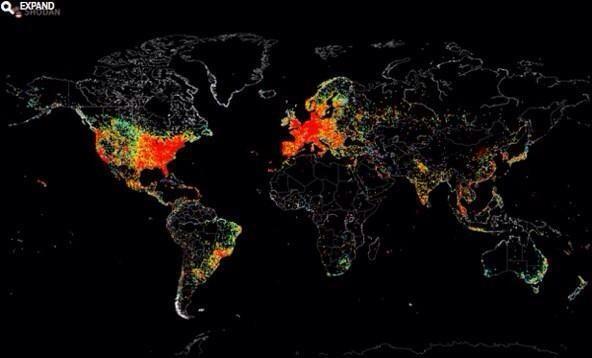 Though this map may not be completely accurate since IP addresses in IPv4 can have thousands of devices behind a single IP, I believe it is a solid reflection on where the Internet is(n’t). Note that Africa is still very much in the information dark; shortwave and FM radio fills this void 24/7 in many rural communities. This entry was posted in Articles, News, Shortwave Radio and tagged Africa, Internet, Mobile, Shortwave Radio, Why Shortwave Radio on September 3, 2014 by Thomas. Yesterday, while recording the BBC coverage of Portugal v. Ghana in the World Cup, I noticed a relatively strong carrier on 17,540 kHz. A quick check of schedules and I realized this was the Rwandan based station, Radio Impala–a new catch for me. Radio Impala broadcasts music and commentary daily from 17:00 – 18:00 UTC (7:00 – 8:00 PM Rwanda time) on 17,540 kHz out of the Talata-Volondry, Madagascar transmitter site. This entry was posted in Broadcasters, News, Podcast, Recordings, What's On Shortwave and tagged Africa, Radio Impala, Recordings, Rwanda, Rwanda Shortwave, Talata-Volondry on June 27, 2014 by Thomas.